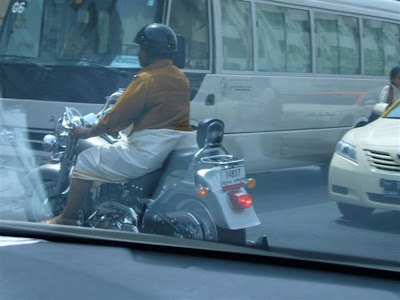 Only one place on Planet Earth a human would be seen riding a Harley Davidson wearing a Mundu!!!! 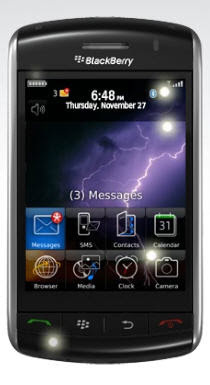 Camera, music, video, and apps part of the RIM BlackBerry Storm 9530 for Verizon review. The days of a bland Gmail interface is over: Google has launched Gmail Themes. 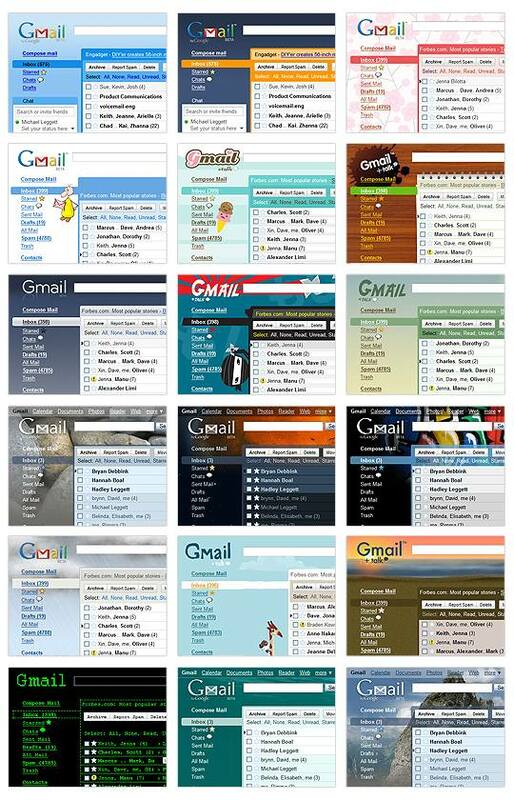 The new Gmail themes offer 30 initial choices away from the standard Gmail layout, in a similar offering to what Google has been providing to iGoogle users. Themes are not immediately available to all Gmail users, but are being rolled out over the rest of the week. To use a theme, Gmail users will see a Themes tab under Settings. "In some cases, you can also customize by location. Some themes change during the day, and we use the location information you provide to correctly time these changes with your local sunrise, sunset, and/or weather. If you select one of these themes, you'll see a Country/Region drop-down menu appear." What would the infamous Google Pagerank bar say if it could sing? Watch the video and find out. ;-) Don't forget to have your speakers on. NOTEPAD++ is the premier replacement for Microsoft’s Notepad. It has an auto-completion feature (for most supported languages) that guesses what you’re trying to write, a tabbed interface which is great for working with multiple files without cluttering your task bar, a powerful RegEx find-and-replace feature, code folding, support for a large array of languages (even Assembler!) and much more. These are just some of the features that make NOTEPAD++ my personal default text editor. Bluefish Editor is a robust, open source text editor geared towards programmers and web designers. 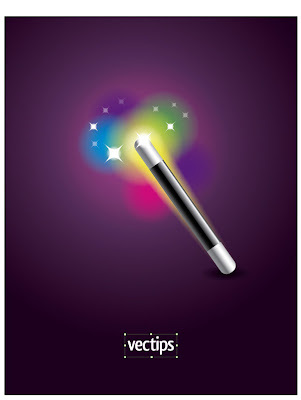 It’s known as being a fast, lightweight text editor that can open 500+ documents with ease. It has a built-in function reference browser (for PHP, Python, CSS, and HTML) so you can quickly learn about with particular syntaxes. Check out the Screenshots section to find movies/screencasts (such as learning about working with remote files) and screen shots of Bluefish Editor. TextWrangler is a multi-purpose text editor for the Mac OS. It is a programmer-friendly text editor and Unix/Server Admin text editor. It has a useful "plugin" system allowing developers a way for extending TextWrangler’s built-in features. It also has a function browser so that you can quickly find and jump to the function you’re looking for (very helpful for those really long files). Smultron is an easy-to-use text editor. Its simple interface makes it perfect for the minimalist coder. It has the basic features you’d expect from a text editor such as syntax highlighting/coloring but also has cool, helpful features such as the ability to split the viewing pane in two so that you can view files side-by-side, a code snipplet library to allow you to store your often-used code blocks, and a full-screen mode that’s intended to make you focus on the task at hand. Caditor is an open source portable text editor written in the .NET framework (C#) that puts speed and performance at the forefront of its design. It has a convenient search box built into the tool bar of the text editor’s interface so that you don’t have to open another dialog box to perform a search. It has other handy features common to developer-oriented text editors such as line numbering, a compiler feature to allow you to hook it up with your compiler, and FTP feature. gedit is the official text editor of the GNOME desktop. Unlike Microsoft’s built-in text editor (Notepad), gedit is a more feature-packed text editor geared towards usage for programming and mark-up. With its syntax highlighting, tabbed interface for editing multiple files, and spell-checking feature – gedit is an excellent, free text editor for coders. GNU Emacs (more commonly referred to simply as Emacs) is a cross-platform, extendible text editor geared towards programmers. One of its defining features is Emacs’s ability to be extended – offering you the ability to use it as your project planner and debugger, among other things. It has a file-comparison feature (M-x ediff) that highlights differences between two files (useful for figuring out changes in a file made by coders who don’t document/comment their revisions). Crimson Editor is a light-weight text editor for Windows that supports many languages. It has a "Macros" features which lets you record a sequence of tasks so that you can reuse the sequence with a click of a button. It has a built-in FTP feature, allowing you to upload/download files from your FTP server. Crimson Editor is a solid option for Windows users. ConTEXT is another excellent, light-weight, freeware (meaning it’s free - but close-sourced) text editor for Windows. It has countless of handy features such as text sorting (helpful when you need to sort things in alphabetical order, for example), ability to export configuration options so that you can share your configuration or import it into several machines, and a macro recorder for repeating a sequence of tasks. In 2007, ConTEXT development was turned over to David Hadley but continues to be freeware. SciTE, written on top of the open source Scintilla code-editing component, is a speedy text editor aimed for use in source code editing. It has a standalone .exe version which you can use for portable storage drives (i.e. USB flash drives) so that you can conveniently carry it around and use it on any computer without having to install it. 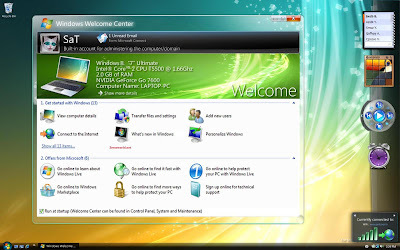 SciTE is a compatible with Windows and Linux operating systems and has been tested by the developer on Windows XP and on Fedora 8 and Ubuntu 7.10. Komodo Edit is a freeware, cross-platform text editor created by ActiveState. It is a simple text editor based on the popular integrated development environment - Komodo IDE. It has a convenient and flexible Project Manager feature to help you organize and keep track of your project files. jEdit is a text editor that specifically caters to programmers. It’s written in Java and runs on any operating system that supports You can download a ton of plugins (check out the Plugins Central on jEdit’s website) to extend its built-in features. jEdit was designed to combine the best features of Windows, Mac, and Unix text editors. Take a look at this... bionic legs are made for walking. Japan's second largest car maker thinks they can help their workers on the factory floor. The walking assist device is what Honda is calling its experimental robot legs. They are expected to help people who work standing or in a crouching position for a long periods of time. "We're thinking more of using this device in the industrial field. There's demand from the factory floors to make it less tiring for workers that work standing up or crouching all day." The gadget helps by redistributing body weight and lightening the burden on workers legs. FreeRinger is a calling service which allows you to make FREE calls to telephone numbers (in more than 30 countries throughout the world) right from your web browser. Make worldwide calls with absolutely no software downloads or installation. That's pretty straightforward process. Enter your friend's phone number in international format (starting with the country code) and press Call. GTalk2VoIP, the free and publicly open voice gateway for major Instant Messenger clients, today announced the availability of the ultra-simple to use FreeRinger, powered by Talkster. FreeRinger, available at www.freeringer.biz, is a web-based telephone service that lets anyone, anywhere in the world place free international calls from PC-to-phone to more than 35 countries. Now people anywhere in the world can use their computers to place free long distance calls to their family and friends' mobile and landline phones in the more than 35 countries included in Talkster's growing coverage area ( http://www.talkster.com/Countries.aspx). All FreeRinger calls are ad-supported, so users never pay long distance or international calling charges, and can talk as long as they like. For call recipients using their mobile or landline phones, the cost is the same as a local call. "Providing a completely free web-based solution to people who spend a fortune in long distance calls is just another way we are increasing the value of what we offer to our customers," said Ruslan Zalata, founder of GTalk2VoIP. "Our partnership with Talkster has made this possible and we will continue to work towards providing free, useful and easy to use solutions to our valued users through the development of solutions such as FreeRinger." FreeRinger is a web-based, Flash(R) application, therefore no software download or installation is required as long as the web browser can view content built in the commonly used Adobe Flash. For those users without Adobe Flash, a simple download that works with all Internet browsers on PC, Mac and Linux computers will immediately enable FreeRinger to work. FreeRinger is also available as a widget that so bloggers and web designers can offer the FreeRinger long distance and international calling service to their sites' readers and customers. A special hyperlink makes placing calls from FreeRinger as simple as a click from a webpage. Official Download Link: Click Here or download using OpenOffice.org’s FontOOo wizard. YouTube is by far the world’s biggest stage for online video. But in some ways Hulu is stealing the show. Metro-Goldwyn-Mayer Studios will kick off the partnership by posting episodes of its decade-old “American Gladiators” program to YouTube, along with full-length action films like “Bulletproof Monk” and “The Magnificent Seven” and clips from popular movies like “Legally Blonde.” These will be free to watch, with ads running alongside the video. The initial lineup may not be all that compelling, but for YouTube, which is owned by Google, the relationship with MGM is a crucial step in an essential reinvention. YouTube had its debut in 2005 and quickly became famous for the democratic sharing of bite-size video clips. Users love the site — 81 million people visited in September alone, according to Nielsen. But Hollywood executives have complained over the way clips of their movies and shows pop up on the site without their permission. And advertisers have found that user-created videos of pet pratfalls and oddball skits are largely incompatible with commercials for cars and other products. Revenue at YouTube has disappointed Google investors since the company bought the start-up in 2006. In the last few months, YouTube has swept its virtual floors and painted its stage as it prepares to offer more professional videos. This month, it introduced a “theater view” button that expands the viewing screen and darkens the rest of the Web page for optimum viewing — a feature similar to one introduced by Hulu. YouTube has also developed a system called VideoID. It allows media companies to spot unauthorized clips of their material on the site, and then either remove the clips or leave them up and sell ads on them. 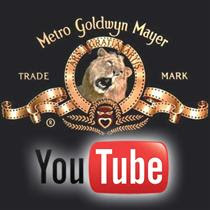 As part of its deal, MGM will begin scouring YouTube for studio clips, from properties like the James Bond and Rocky franchises, and pulling many of them from the site. In a technical session on Thursday afternoon, Microsoft provided the clearest public indication that it is planning on getting Windows 7 completed in time to run on PCs that ship for next year's holiday buying season. In a presentation on its somewhat secretive Velocity program to improve PC quality, Microsoft director Doug Howe showed a slide saying that the Vista Velocity program would continue through next spring as Microsoft worked to improve Vista machines that ship in next year's back-to-school time frame. He went on to say that Microsoft would continue the Velocity effort with Windows 7. The slides and Howe's presentation appeared to confirm what has been widely speculated--but something Microsoft has not outright said--namely that Windows 7 is aimed to ship around mid-year, in time to be on machines that ship for the 2009 holiday buying season. 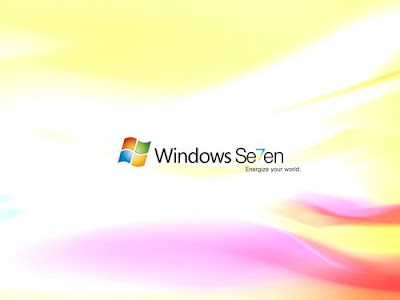 After the session, Howe essentially confirmed that Microsoft is aiming Windows 7 for the holidays. It's nearly 40 years old but one leading research company says the days of the computer mouse are numbered. A Gartner analyst predicts the demise of the computer mouse in the next three to five years. Taking over will be so called gestural computer mechanisms like touch screens and facial recognition devices. Host the US Election results on your own website with this live Election Results 2008 Map. Google, in partnership with Associated Press, have produced an embeddable US presidential election results map. The map will show the official results as they are announced. The list below is made up of the best 50 FREE scripts available, they are all of the highest quality and more or less easy to configure. Give them a try. jQuery, Mootools, Prototype and script.aculo.us are used in these examples, so every taste has its demos served. Submitting a form with AJAX doesn’t get any easier than this! Create one ‘master’ form, and use server side DOM manipulation with Jaxer to disable, or completely remove certain form elements before they reach the client’s browser. We can then use jQuery on the server side to select these elements and disable them, or even completely remove them from the DOM before they reach the clients browser. Demo can be found here. Shoutbox Ajax script is based on jQuery library and Form plugin and allows you to implement a shoutbox on your website. This jquery shoutbox is file based, but it’s very easy to write a few more lines to keep your messages in a database. Learn how to check if a username is valid without leaving the page using ajax. Fetch and display an external page, Supports auto mode, Ability to also expand/contract arbitrary DIVs, Ability to dynamically select a tab, Supports nested Ajax Tabs. TabContainer themes for some of the other tab-style controls that is floating around the web. An interesting script.aculo.us Shopping Cart with drag and drop feature. Uses komodomedia’s star rating technique. Works on a database without having to refresh any pages (but updating the database with AJAX). In this version it uses for rating an image (with unique id = imgId). AJAX, DOM, whatever you call it makes it possible to let people edit a piece of text inline without having to use a submit button. The in-place “text edit” testing allows for Flickr-style AJAX-backed “on-the-fly” textfields. The constructor takes three parameters. The first is the element that should support in-place editing. The second is the url to submit the changed value to. The server should respond with the updated value (the server might have post-processed it or validation might have prevented it from changing). The third is a hash of options. The server side component gets the new value as the parameter ‘value’ (POST method), and should send the new value as the body of the response. An AJAX (or AHAH) proof-of-concept page that allows the visitor to edit the very (x)HTML page they are viewing, without leaving the page. Click the text to be edited and magically a textarea appears with buttons beneath to save or cancel the changes. Changes are sent via AHAH to a PHP script which normally would be used to update a database (MYSQL or flatfile). Sometimes, when we are building websites and web applications, we need a percentage bar / progress bar to show the progress of a specific task. However, it is very difficult to find a working and easy solution without using Flash. Here are very interesting Progress bars using ajax instead of flash. A web page which is processing a lengthy Ajax request and doesn’t provide a loading indicator of any kind will mostly mislead the user to think that the page has stopped responding. So the solution? Use a loading indicator of course. Here’s a very handy loading indicator widget for Ajax programmers who use YUI. This script lets you include content from multiple pages and display them on demand, using Ajax. Pagination links are automatically created, with each page downloaded only when requested (speeding up delivery and saving on bandwidth. It’s a paging demo that shows how we can preload in the background the next and previous queries from a database. When the user pages through, they can do so quickly without having to wait for an Ajax call to finish. Online calendars are often used in many web applications. Though popular, the logic behind creating a calendar can be scary especially for those who are new to programming. There are many web calendars in the market but some of them are quite complicated. Check out these excellent ajax calendars. Learn how to create an interesting calendar using Ajax and PHP. You will be able to navigate through the calendar months without refreshing the page. A client/server-side library, based on prototype, which supports all kinds of image manipulations. On the serverside the library is powered by combination of PHP/GD that renders the image. With phototype, you are able to rotate, resize, flip and do some other cool effects to images. 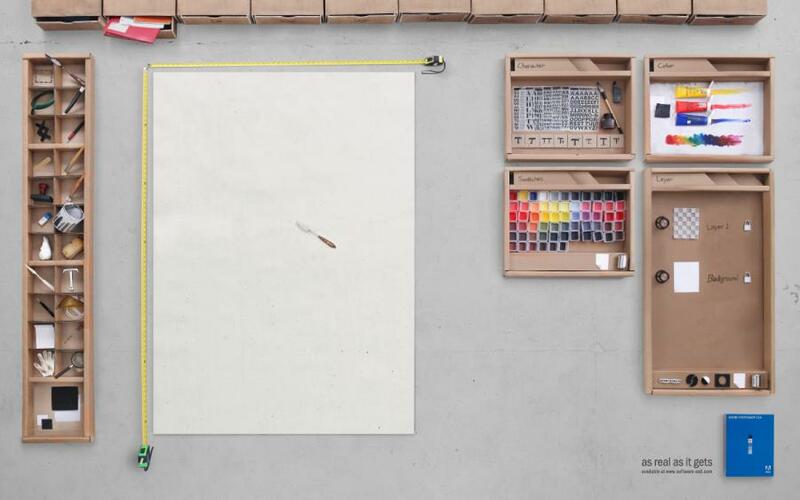 An easy-to-implement image cropper based on the mootools framework and php. This demo shows you how to use ajax and php functions to create cropped areas from images and return them directly. You can specify the width and the height of the overlay, which is used to crop that part then. This can be come in handy if you wish to let users create avatars from uploaded images with a certain with and height or any other process of cropping images. Max’s AJAX file uploader is a simple and easy to use script, which allows you to upload files to your webserver without reloading the current page. During the upload an animated progress bar is shown. 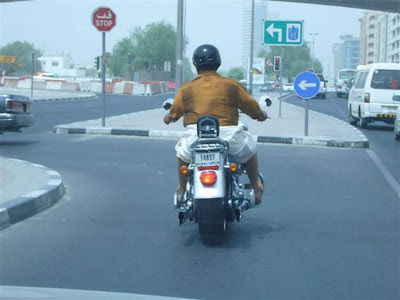 The server side is written in PHP. Ajax driven image file upload with thumbnail view and delete function. Now you can change the look of the suggestion item with your own customizable template. Also it is possible to pass your own suggestion items from the server and work with all their properties on the client side. An autosuggest search engine inspired by facebook for design while using jquery. This plugin makes it easy to install FCKEditors on your page the jQuery way. It integrates FCKEditors with the jQuery Form Plugin and enables the contents of FCKEditor to be submitted via ajax. This script requires that you have PHP installed on your server and access to a mySql database. In this tutorial we’ll create a poll using PHP and XHTML, then make use of some jQuery Ajax effects to eliminate the need for a page refresh, and to give it a nice little bit of animation. Create clickable headers that sort the table by the clicked column. Note how the numeric and date columns all sort properly, too, rather than sorting alphanumerically. DrasticGrid is an Ajax-based datagrid with editing support. It uses MySQL as a data source and it supports pagination, sorting, editing records, adding records and removing records. Refactored the Tablecloth example to use the ASP.NET AJAX client side API. This script loads content from the server and inserts it into an empty HTML element(example a DIV tag) on your page. New pages can be appended dynamically and the script will scroll down to the content of the new pages. jTip, not unlike Thickbox, pulls data from the server using a hidden http request. jTip pulls content into a tool tip using the HttpXMLRequest object. By adding a class attribute value of “jTip” to a link element you can create a tooltip from the content found in the file the href is pointing too. Also jTip can be customized by providing user defined widths (defaults to 250px wide) via a url query string. This module checks your links on the current page by requesting them and reading the server response. If the server returns 200 OK the link gets ‘active’ class, if other header - the link marked as inactive. Facebox is a jQuery-based, Facebook-style lightbox which can display images, divs, or entire remote pages. It’s easy to use and easy to drive programmatically — use it for error messages, confirmations, previews, galleries, etc. Drop Down Panel adds a pull down panel to the top of your page that contains external content fetched via Ajax. Visitors click on the protruding button to cause the panel to drop down and reveal its content.